It’s a bicycle ride, my friend! Today’s article is dedicated to outfit ideas completed with skirts and heels you can wear during your bicycle rides. 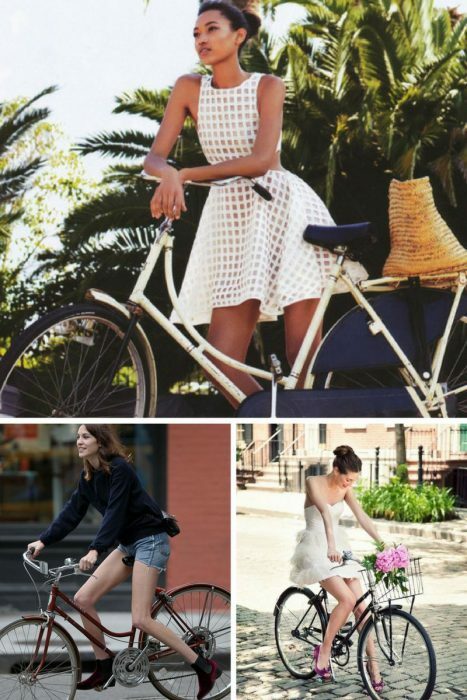 The bike trend is pretty massive nowadays and you can see lots of fashionistas, editors, and bloggers who went crazy about it! If you think riding a bike is only for hipsters, then you are wrong! Every high-class rich ladies choose this type of transportation due to its healthiness, workout and environmental friendliness. Plus, a bike can get you much faster to your destination during the traffic. So, how should you dress to enjoy a great weather and look at your best? Scroll down to find out!